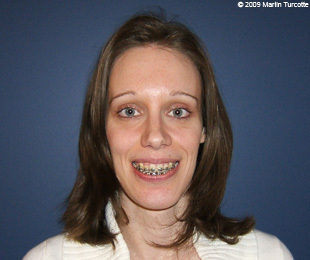 My face became very swollen the next few days following my surgeries. I took pictures of me daily, but the people having a stomach that gets upset pretty easily might be affected forever if I showed them to you here. I also have my pride; I wasn't feeling very well at that time and I think that these pictures wouldn't be of any use to anyone visiting my website. 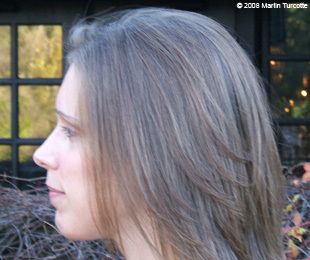 That's why I decided to avoid showing you all the details on the different colors my face had and to show you only the pictures of me after my complete recovery from the surgeries! 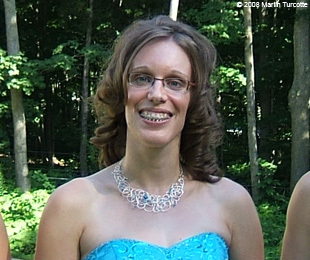 June 5, 2008 - Almost 2 months after my second orthognathic surgery. 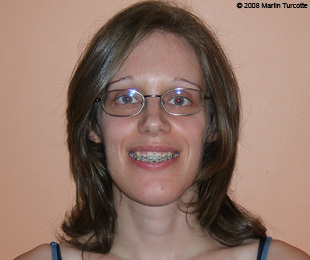 July 26, 2008 - 3 months after my second orthognathic surgery. Note: You can see that the swelling at the bottom of my face subsided from the left picture to the right picture; I had the same weight on both pictures. 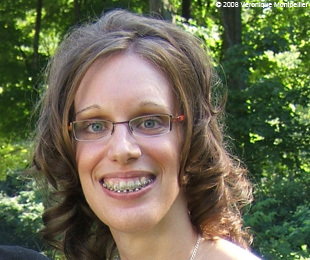 August 9, 2008 - Almost 4 months after my second orthognathic surgery. 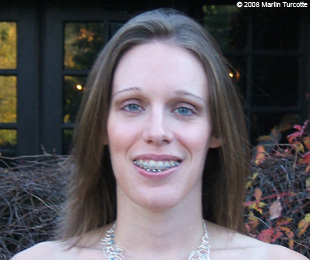 October 18, 2008 - 6 months after my second orthognathic surgery. 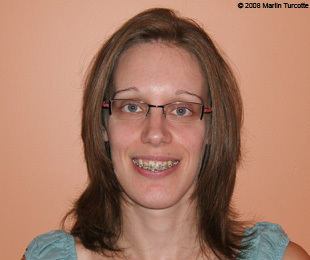 February 9, 2009 - The day before my braces were removed.